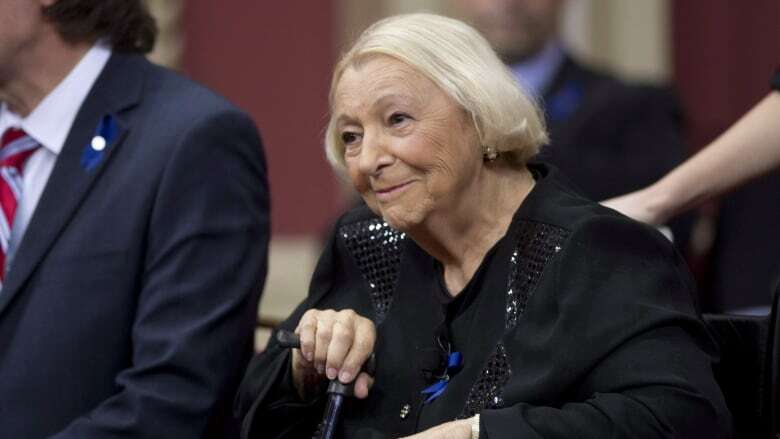 Lise Payette, a celebrated journalist, feminist, writer and Quebec cabinet minister viewed as a trailblazer for women in Quebec politics, has died. She was 87. Payette died peacefully Wednesday evening at her home, surrounded by friends and family, according to a news release sent by her publicist. Born in the Montreal neighbourhood of Verdun in 1931, Payette began a career in broadcasting with Radio-Canada, hosting a morning radio program called Place aux Femmes and an evening talk show called Appelez-moi Lise. 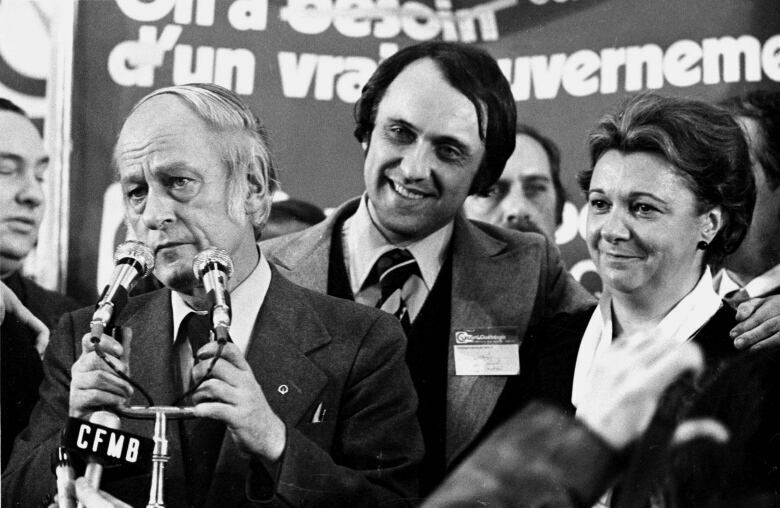 She joined the Parti Québécois and was elected in 1976 and appointed to René Lévesque's first cabinet. Payette was minister of consumer affairs, co-operatives and financial institutions. She was also the province's first minister responsible for the status of women. "I told myself it was the time for me to join politics to open doors," she told Radio-Canada in an interview later in her life. "I have a knack for that, opening doors, and I make sure that once they've been opened they can never again be closed." ​She was also instrumental in establishing of the SAAQ, Quebec's automobile insurance program, and its no-fault policy, ensuring that any victim of a car accident is entitled to compensation, regardless of who caused the accident. News of her death Thursday prompted an outpouring of tributes from politicians across the political spectrum. PQ Leader Jean-François Lisée said Payette "set the stage for generations of women seeking freedom and equality." Liberal Leader Philippe Couillard echoed those comments, saying she was instrumental in advancing the rights of women. Couillard recalled watching Appelez-moi Lise when he was young and said the show was "a significant moment on Quebec television screens." Radio-Canada culture columnist Michel Coulombe said Payette displayed her sharp wit and lively humour on the program. He called her a "genius interviewer." Je viens d’apprendre le décès de madame Payette. Elle a grandement contribué à faire avancer les droits des femmes et nous lui devons aussi la création de la <a href="https://twitter.com/SAAQ?ref_src=twsrc%5Etfw">@SAAQ</a>. Ce matin, mes pensées sont avec sa famille, ses amis et ses proches. Mes plus sincères condoléances. Québec Solidaire co-spokesperson Manon Massé said Payette "was a builder, who was necessarily stubborn." Mme Payette a été une bâtisseuse, une nécessaire entêtée. Elle a pavé la voie pour les femmes comme ministre avec le gouvernement de M. Lévesque dans les années 70. <br>J’adresse mes sincères condoléances à ses proches et à sa famille. "All her life, she had the same guiding principle," former Quebec Liberal minister Liza Frulla told Radio-Canada Wednesday. "That was to defend and fight for women's rights and the evolution [of their place in society]." Frulla said on Place aux femmes, which aired from 1965 to 1970, Payette addressed issues that were taboos at the time, including divorce, domestic violence, unwanted pregnancy and the societal barriers women faced. That "guiding principle" translated into Payette's feminist politics. She created Quebec's Secrétariat à la Condition féminine, and she helped draft policies to improve daycare services in the province and to offer women longer maternity leaves. Sovereignty was another cause which helped define Payette. In a 2014 interview with Maclean's, Payette said she started to reject her identity as a Canadian in 1970, when then-prime minister Pierre Trudeau invoked the War Measures Act during the October Crisis. Payette is credited with coming up with the slogan immortalized on Quebec licence plates, Je me souviens (I remember), which replaced La Belle Province. However, her strong convictions also got her in trouble — and may even have contributed to the loss of the 1980 referendum. Campaigning for the "Yes" side, Payette dismissed Madeleine Guay, the wife of Quebec Liberal Leader Claude Ryan, as an "Yvette" — alluding to the docile young girl featured in old Quebec textbooks. The "Yvette" comment backfired, and the "No" campaign seized on the controversy, organizing a federalist womens' rally in Montreal that is widely seen as turning the tide for the "No" side at a critical juncture. Payette apologized, and she left politics in 1981 after the "Yes" side lost the referendum. She became a prolific writer of television series, namely the popular Quebec soap opera Des dames de cœur. More than 30 years later, Payette resurfaced to defend former PQ premier Pauline Marois's proposed Charter of Quebec Values, which would have forbidden public servants from wearing religious garb at work. The proposed charter, seen as targeting Muslim women, was widely criticized and never saw the light of day. Payette invited controversy again in 2016, defending her longtime friend, the late film director Claude Jutra, when allegations that he had sexually abused children came to light years after his death. Just last year, Payette admitted having tried to dissuade Quebec media personality Léa Clermont-Dion, 27, from filing a police complaint alleging sexual assault against journalist Michel Venne. Former PQ premier Pauline Marois credits Payette with setting her on her own career path. 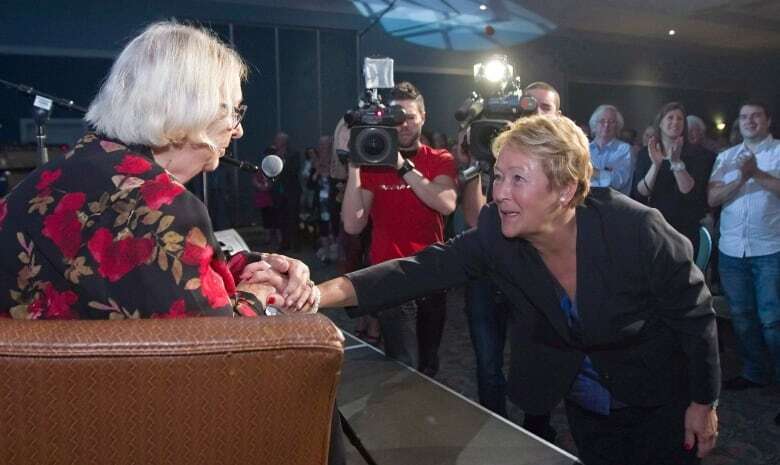 "She changed my life," Marois told Radio-Canada's Première heure. Marois was Payette's chief of staff under the René Lévesque administration. "I wouldn't have gone into politics if I hadn't worked at her side," Marois said. "She showed me the difficult side of things, but at the time, the satisfaction that comes when you change people's lives for the better." Payette is survived by her three children, Dominique, Sylvie and Daniel, her grandchildren and a great-grandchild.